This is a 500mm long 4-conductor cable with 1mm JST termination. It’s used to connect Qwiic boards together. 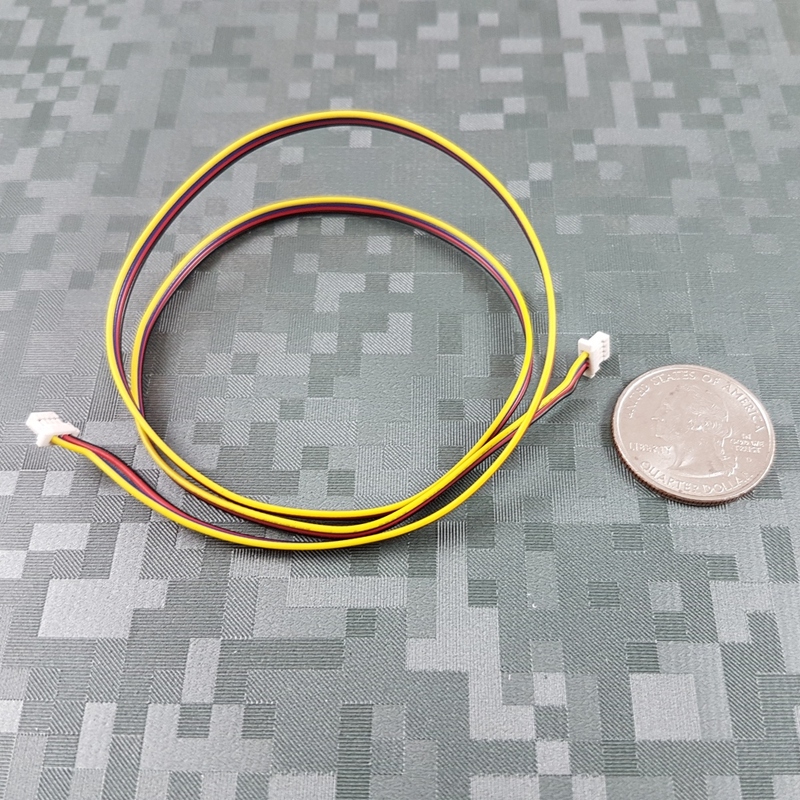 This cable is used for connecting Qwiic boards that need to be very far away from the controller. Note that I2C signals will degrade over longer distances. We recommend keeping the connections to 1 meter or less. That said, we’ve daisy-chained boards 2 meters (4 of these cables) away from a RedBoard successfully. Your mileage may vary. The Qwiic system enables fast and solderless connection between popular platforms and various sensors and actuators. You can read more about the Qwiic system here. We carry 50mm, 100mm, 200mm, 500mm, and breadboard friendly Qwiic cables.